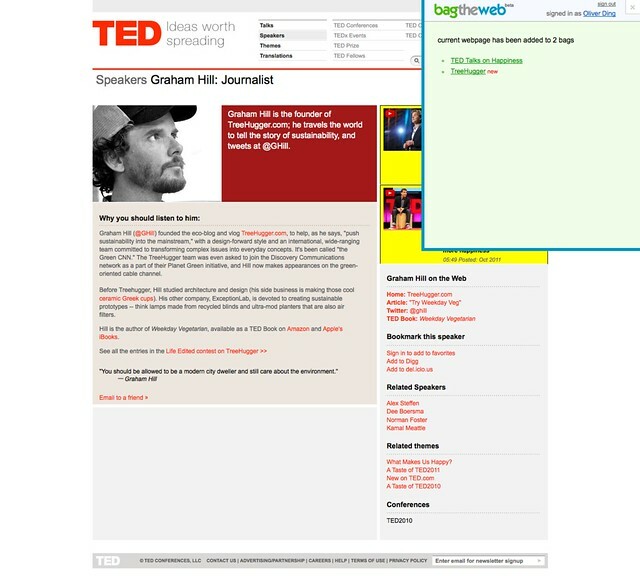 Many users suggested that we add a "#multi-bagging" capability to the #bookmarklet and we listened. Now it comes! You can add a webpage link to multiple bags at one time through the "bag it" bookmarklet. If you have installed the "bag it" bookmarklet onto your browsers, you don't need to reinstall it. It has been automatically upgraded to multi-bagging version. 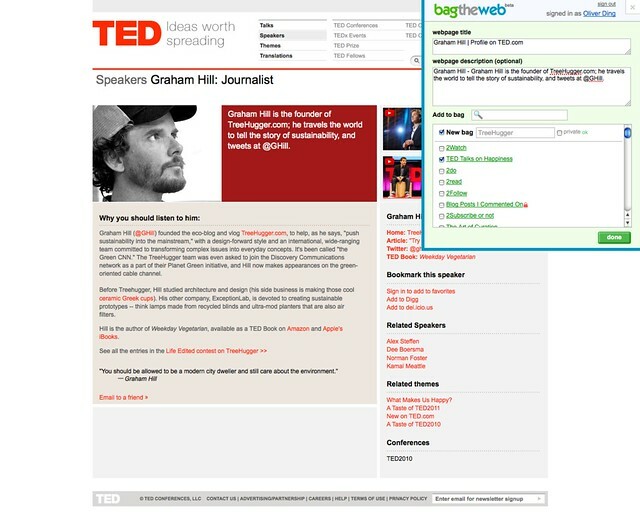 If you have not installed it yet, go to our tools page and grab the bookmarklet. 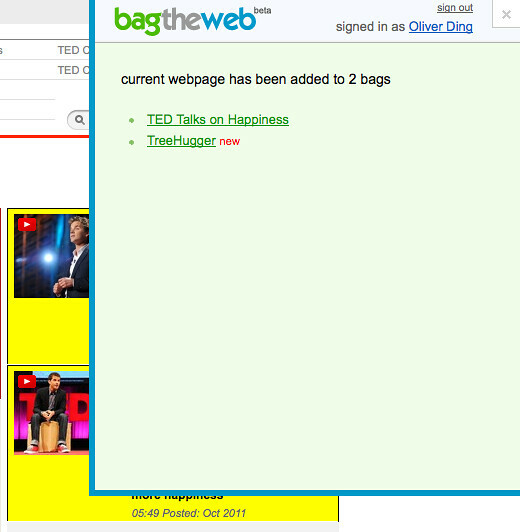 Click "bag it" on the tools bar at your browsers, open our bookmarklet. 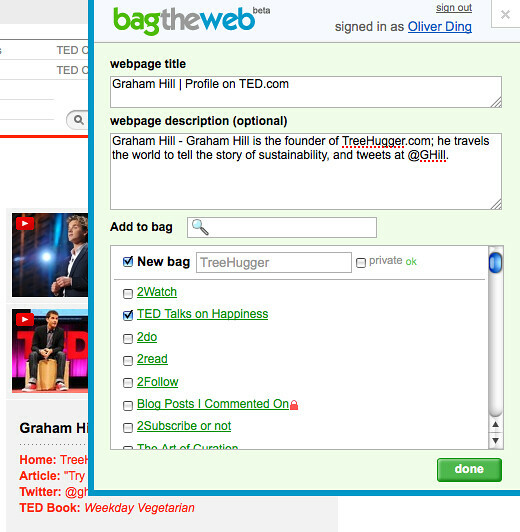 After editing webpage link's title and description, you can choose the bags you want to add the link to. After selecting several bags, you can still search and choose bags from the search results. You can also choose the New Bag option to create a new bag and type a title for it right away. After clicking on Done button, you will see a word "new" in red after the new bag's title. You can go to the new bag and edit bag description, upload a image as bag icon, or/and add more links. If you have created hundreds bags, you will feel the multi-bagging user interface is very handy. It helps you smoothly find the bags that you want. Enjoy and give us your feedback by leaving comments!